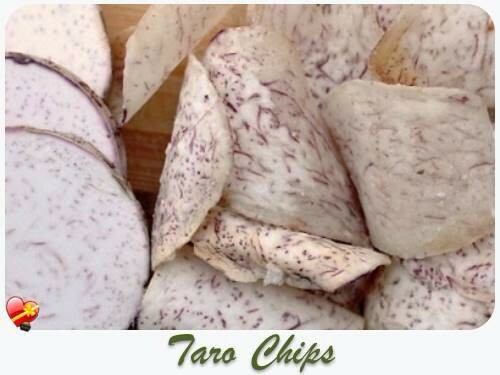 Review: Simple and delicious taro chips for dipping or just as is. Enjoy! Add unpeeled and washed taro in pot of boiling water. Cook until barely tender. Let cool and then chill in refrigerator until completely cooled. Thinly slice cooled taro. Fry in deep fryer until crispy and brown. Drain on paper towels and sprinkle with Hawaiian salt while still hot. Although dalo is quiet expensive, this is a lovely snack the kids will enjoy 🙂 try it and enjoy!